To register go to the Registration tab. 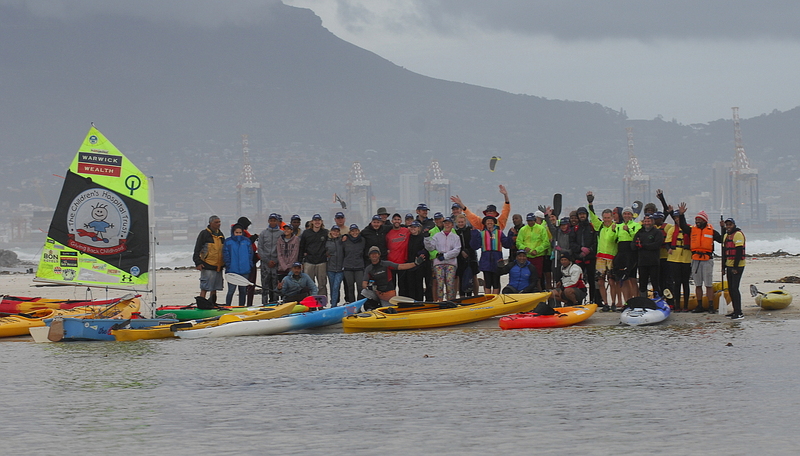 Thanks to everyone who participated in the paddle. Huge turn out again with over 80 paddlers at times along stretches of the waterways. Massive thanks to Greg Bertish and his Little Optimist – first time anyone has sailed/rowed through the waterways. Loads of support on day with plenty of helping hands from the City to community based organisations who were able to make this a fun event and bring urgent attention to water and our waterways. Scroll down to find photos of the event. ‘Let’s keep the rivers running even in a drought’. 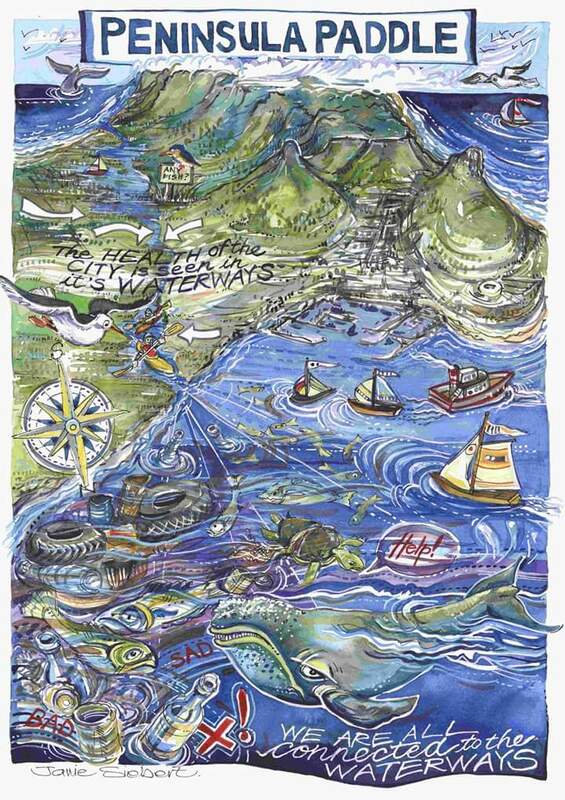 Janie Siebert’s wonderful art piece tells the story of the paddle and other key messages. Great piece!